Rachel Jones left a career in nursing and lived on the beaches of Goa, India for the past five years. 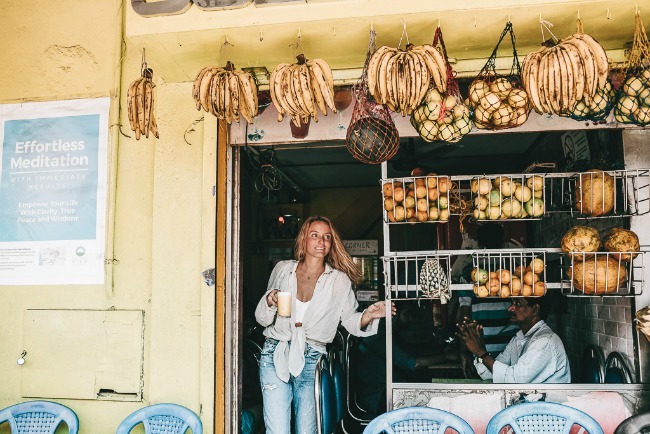 Currently residing in Mexico, her website has garnered over one million monthly page views where she gives advice on the 35+ countries she’s visited. 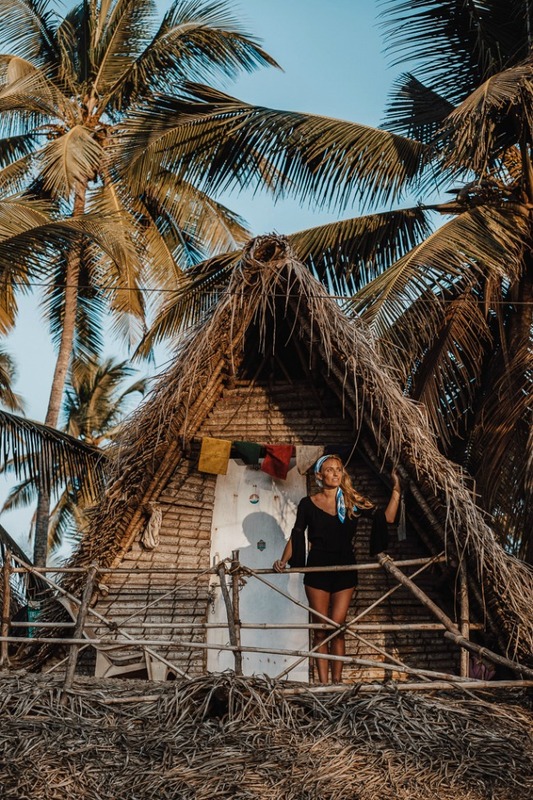 Her blog, Hippie in Heels, is the go-to site on India travel and she’s the author of two India travel e-books: Guide to India and Insider’s Guide to Goa. Her blog, Hippie in Heels, like its name, is a contradiction combining off-beat adventurous places with glamorous and girly travel. She joins us this week to talk about her life of travel and blogging. Like many, you bounced between a traditional work life and a travel life before deciding you needed to find a way to make the latter the top priority. How did you go from living off meager savings to paying your way by talking about travel? I found an interim job until my website started making money, which was Thai massage. I was based in Goa, India and had fliers up around town. Tourists would call and just a couple of massages a week could allow me to live okay in Goa. After about six months, my blog earned money and I ended up quitting massage as I didn’t really love it. I had also started a candle company—so I was definitely just testing the waters to see what I wanted to do. You spent three years in Goa and are now going to make Merida your base, in Mexico. This is in contrast to many world travel bloggers who are constantly on the move. What are the advantages of having a home base, as a travel blogger? I see many bloggers writing about how they don’t have time to get anything done and they struggle to balance travel with work and that’s something I haven’t dealt with, which I’m sure has made things easier for me in terms of getting more work done. Having a base allowed me to save money as well since Goa was very affordable. You’ll be speaking on a panel at TBEX North America this year with Angie Orth (Angie Away) and Alexandra Baackes (Alex in Wanderland) on the power of outsourcing. What was the first task you hired help for and how has outsourcing helped grow your business? I first hired people on Fiverr to do small things like an HTML email signature. I then wanted to change hotel affiliate links on all my posts and couldn’t be bothered to waste time on it, so I thought “hmm, maybe I can hire someone.” I ended up hiring someone hourly for that. From there, I realized how valuable the help was and I hired someone to add on rstlye clothing widgets and more to top posts. I then hired someone monthly to be my developer and deal with tech issues and someone else to do my Pinterest. Over time, I found one girl who was awesome and now she does a lot of work for me, some on a monthly basis and other stuff hourly on top of that. I wish I’d done it sooner instead of nearly three years into blogging. You have one of the most popular travel blogs in the world by traffic. What has contributed most to the growth in readership over the years? It always blows my mind to read that. I think early on, it was a lot of luck because I was writing about places in India that people just weren’t covering. I was writing articles like “how to take a train in India” that had great SEO and I didn’t even realize it. So, many articles about India rank high for me. I became known for “India travel” and that helped my blog take off. I also live by doing 1% more in everything that I do and I work extremely hard. I am very Type A and organized and am always looking for new keywords I can rank for and have written over 1000 articles in the last 4.5 years. The first year of my blog, I wrote 5 to 6 per week. I’ve written on average 4 to 5 articles per week for my blog. Each article is long, detailed, has a Pinterest pin, SEO, etc. They aren’t just fluff. What are your main sources of income and did some come easier than others as you have grown? Right now, it’s Mediavine just based on my page views being so high at the moment. After that, it’s affiliates, then brand partnerships like reviews on my site or campaigns with hotels or tourism boards. There is a bit of social media in there as well like sponsored Instagram posts. I also sell two e-books which is nice passive income. What still gets you excited the most in your travels? What kinds of experiences are you looking for? Going new places! Now that I’m in Mexico, I’m so close to places that were totally out of reach while in India. I could be in Guatemala by tonight if I wanted to! It’s amazing and just moving here has re-energized me to get excited for travel as I was a little bored of traveling in Asia. When I travel, I look for bespoke tours that help me see places like a local. I like to check out local crafts, try local food, and do really adventurous things (not something like zip-lining, but something unique to the place I go). I also love boutique hotels—it’s not just a place to sleep to me, it’s part of the journey. You get hosted and sponsored a lot now by organizations that want to reach your readers, but after plenty of time on your own as a self-funded, independent backpacker. What’s to be gained by traveling on a budget, solo or as a couple, with no obligations to anyone? 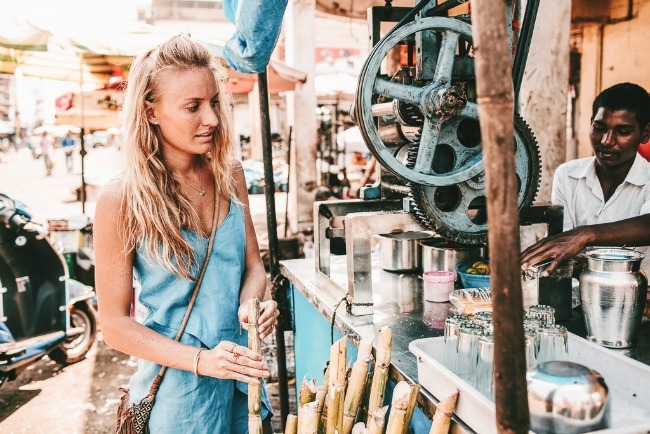 Traveling on a budget for years (and I mean TIGHT budget, couchsurfing in Paris all the way to Mumbai) showed me that style of travel which I have a lot of content about and in India, five years ago, I came as a budget backpacker. Now I do boutique/luxury travel and therefore have loads of content on all styles of travel which I think is helpful to readers. Having to sleep on the floor of a ferry getting sprayed by sea water or hitchhike around Albania makes me appreciate being able to afford to hail a taxi or just check into a hotel when I’m tired. I would never change the way I used to travel. I think it was amazing going around Europe and India as a budget traveler! Hippie in Heels has been featured in ELLE, Marie Claire, Grazia, and Cosmopolitan magazines. She’s a writer for Bravo TV’s travel Vertical and has worked on dozens of successful travel campaigns with tourism boards, hotels, and travel agencies around the world. You can follow her adventures on Facebook, Twitter, and Instagram. Interview by Tim Leffel, posted by Terri Marshall.